Essential plot rundown: An aging magician travels, looking for work, while accompanied by some girl. This is not to be confused with The Illusionist staring Edward Norton, which came out in 2006. This one is a cartoon. I have mixed feelings about this film. So, let's start with the bad. This movie has little to no dialogue (a la Mr. Bean). That, in and of itself, is not a bad thing. However, it does create some confusion in a few scenes where things are not explained. I don't know, maybe they really did make sense and I'm just dense. And, there is no clear, overall story. The main character just travels around, looking for gigs. And that's it; there is no real character arch. Also, there is this random girl, following him around. And it never says why. She just leaves her home and goes after him. She is also a shallow character and makes the magician buy her lots of pretty clothes. There is a small clue at the beginning of the movie, and another at the end, that explain her character, but they are real subtle and can easily be missed. At the end of the movie, there is a reveal. But it comes out of the blue. It kind of explains things, but there is nothing leading up to it for it to bear weight. 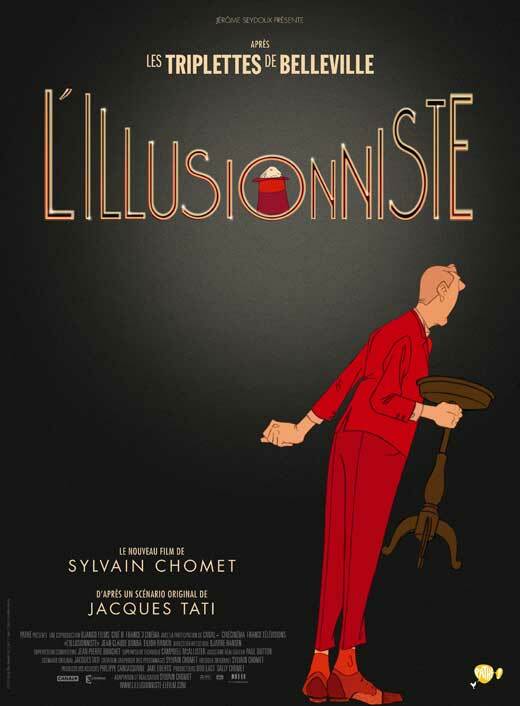 And a warning: While not a bad thing, The Illusionist is a depressing film. It is about a man looking for a job; and there are others in the same boat at him. So, it is sad to see them being replaced by other forms of entertainment. They even throw in a maimed, crippled dog for extra measure. It could even be described as poignant. 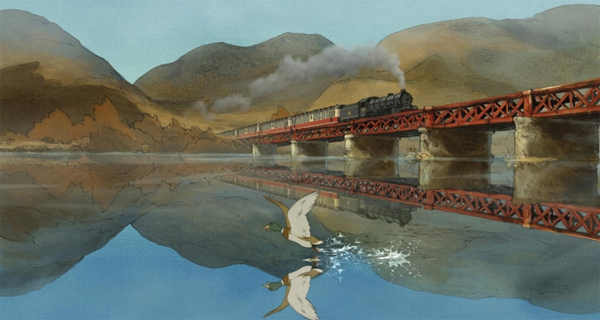 So, don't go into this film expecting something happy and uplifting. 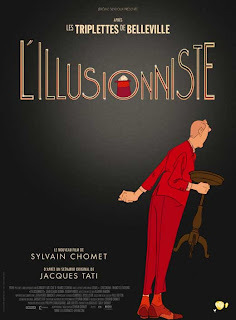 The Illusionist is worth watching. It is artfully and beautifully made. But, there were too many things that didn't quite add up for me. And it lacks a strong story, which for me, doesn't work too well.